Here is a list of shops I love and recommend you visit for a wide range of items, which I update weekly. 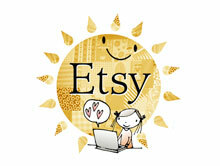 You can also view my list of handpicked artists and indie shops on my website, Gray Star Design. Happy Shopping!